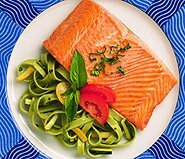 Cedar Plank Salmon is the art of roasting salmon on wood planks, a native American cooking secret that's centuries old. 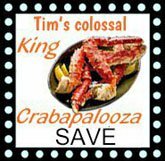 For the grilling lover! 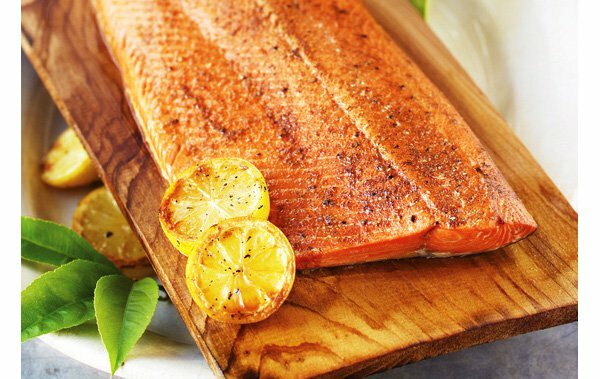 A simple method used and perfected over time, this method of grilling salmon on a Cedar Plank is truly the most gourmet meal you can have at home. Don't be intimidated by trying something new. 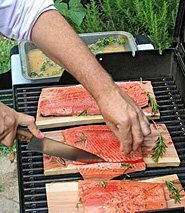 The Cedar plank creates a woodsy smoke flavor that is decadent and rich, combined with our owner, Alaska Tim's, personal salmon rub (included), and Alaska's Wild Salmon fillets, makes a memorable meal that will quickly become your favorite. 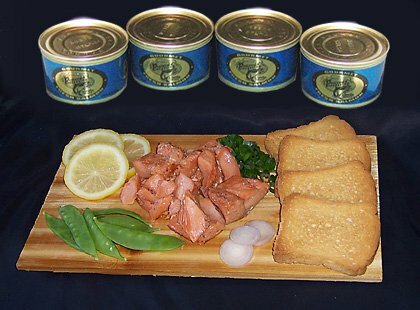 Tim's Cedar Plank Salmon Kit has salmon fillets, salmon rub, planks, and instructions. Our Wild Salmon fillets are skin-on and bone in. Fillets are approximately 6-12 ounces each. If you would like to avoid bones you can request tail portion fillets. Fresh flash frozen, vacuum packed.